Dao is beyond words and names, form and non form. Is it not true that the concept of Yin and Yang is but a system of measurement, one necessary for people to communicate and function in a practical manner? We measure relative heaviness and lightness (weight) and we call the force that gives objects weight, gravity. Yet gravity, like the Dao, is something whose effect we can measure and even predict, but no one in the world can explain exactly what it is. Is there something missing from this perspective? Yes, the dualistic perspective we use to perceive, understand, communicate, and associate to others in the world, is the predominant paradigm and therefore is practical to adopt in living in the current world. What is missing? or limitation in this perspective? The answer is two-folded. 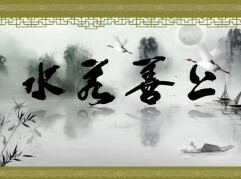 First, as Daoist Master Chuangzi described, there is nothing absolute in the dualistic world of perception, what considered good and royal to upkeep at one point (such as being loyal to a king) becomes invalid when context change (e.g. loyal to a selfish demonic king). Same limitation applied in scientific laws, take the law of gravity as example, it is applicable to only a certain context, i.e. on earth. So looking from a strict scientific point of view, the laws as constructed in dualistic paradigm can only be viewed as valid to certain conditions. Second, in the context of finding the absolute truth, one need to go for laws that is applicable in all context. Subjectively and spiritually speaking, the perception of a dualistic split between “self” and others/world disappears when one is in certain states of awareness, so in that awareness, such as that described in Laozi’s Daodejing, conventional perception and dualistic laws fails, and more pervasive truths/teachings are needed.